This is the ballad of Leila and Lee—a modern-day Bonnie and Clyde who learn that they aren’t alone in the world the night that they discover each other. Their wild ramble across the Scottish highlands in search of an absent father is told in a series of lyrical narratives that will immerse audiences in the action, forging a breathless drama of beauty in the darkness. Associate Artistic Director Stuart Carden (Travels With My Aunt, Hesperia) directs this intimate bookstore production. 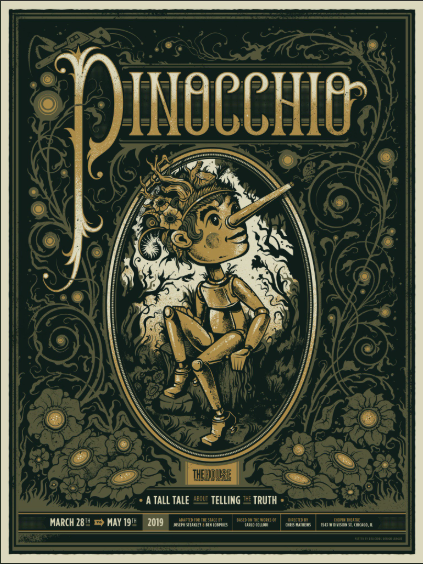 Performances are April 16, 2013 – August 4, 2013. The press openings are Wednesday, April 24, 2013 at 7:30 and Thursday, April 25, 2013 at 7:30pm. Curtain times are Tuesdays and Wednesdays at 7:30pm (with select Wednesday 2pm matinees – May 22 & 29, June 5, and July 3 & 24); Thursdays and Fridays at 8:00pm; Saturdays at 4:00pm and 8:00 pm; Sundays at 2:00pm and 6:00pm. 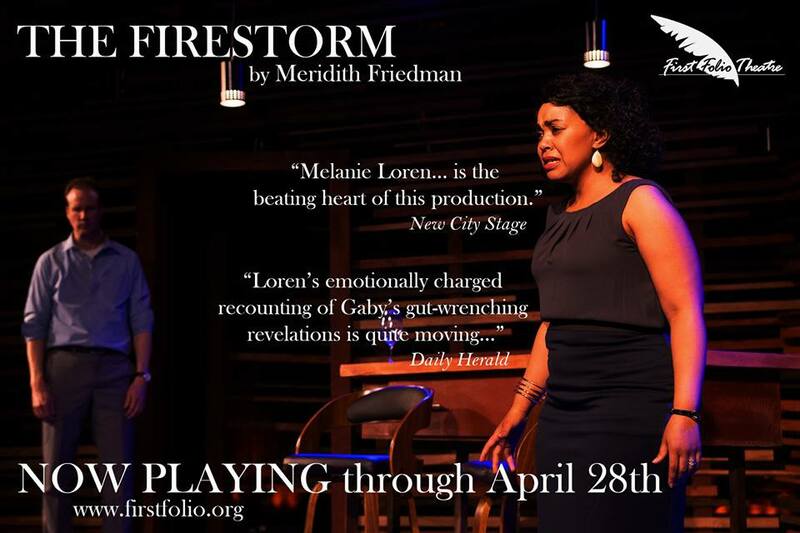 Tickets are $35-$60 and are available at the Box Office, 376 Park Avenue, Glencoe; 847-242-6000 or online at www.writerstheatre.org. 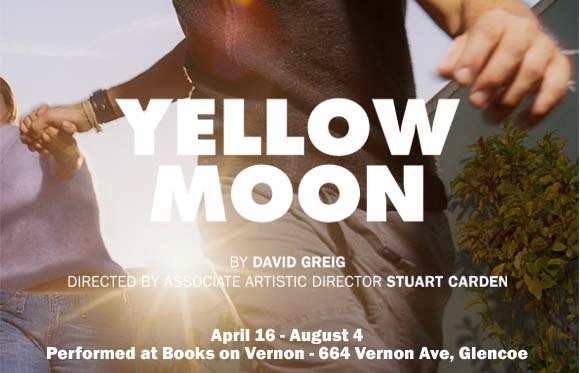 Post-show discussions for Yellow Moon are every Wednesday evening following the performance: May 8, 22; June 5, 19; and July 3, 17, 31. Follow Writers' Theatre on Twitter (Twitter.com/WritersTheatre) and by 3:00pm, when available, Writers' will Tweet a code that can be used to purchase remaining seats for that day’s performance at a discount. When available, Tweet Seats may be purchased only through the Writers' Theatre website atwriterstheatre.org. Writers' Theatre is pleased to welcome back BMO Harris Bank as Season Sponsor of its 2012/13 Season. The Season Sponsor is Mary Winton Green and the Major Production Sponsor for Yellow Moon is Mary Pat Studdert. The Corporate Sponsor Partner is Consolidated Electronic Wire & Cable. You can find Writers’ Theatre on Facebook or follow Writers' Theatre on Twitter at Twitter.com/WritersTheatre. For more information, visitwww.writerstheatre.org. Ashleigh Lathrop (Leila) and John Lister (Billy/Frank). Yellow Moon was commissioned by TAG Theatre Company, produced in association with the Citizens' Theatre, and premiered at the Circle Studio of Citizens' Theatre, Glasgow, in September 2006. The play re-toured in 2007, including an appearance at the Edinburgh Fringe Festival. Writer David Greig is currently writing the book for the upcoming Charlie and the Chocolate Factory musical produced by Warner Bros. at the Theatre Royal, Drury Lane. 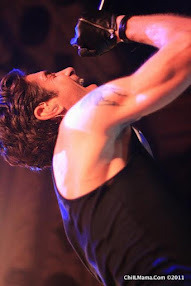 · Greig’s work has been produced recently in Chicago at Chicago Shakespeare Theatre (The Strange Undoing of Prudencia Hart) and Remy Bumppo Theatre (The Creditors). Associate Artistic Director Stuart Carden directs in the Writers’ bookstore space for the first time since his hit production of Travels with my Aunt (2010-11). Like that production, Yellow Moon will transform the space into multiple locations, this time including a small village near the Scottish capital city of Edinburgh, a speeding Land Rover, a placid mountain lake and a small cabin in the Scottish Highlands. Actors Ashleigh LaThrop and Josh Salt make their Writers’ debuts alongside Writers’ veterans John Lister (Heartbreak House, As You Like It) and Karen Janes Woditsch (Heartbreak House, Othello, The Seagull, Butley, and Spite for Spite, among others).